Walnut Whip Cupcakes, originally uploaded by Max_and_Pollys_Mum (Amanda). These cupcakes are from bakers Max and Polly's Mum based in Daventry, Northamptonshire UK. The cupcakes are based on a walnut whip. Chocolate devil's food cupcake, topped with a meringue/marshmallow topping and dipped in chocolate. 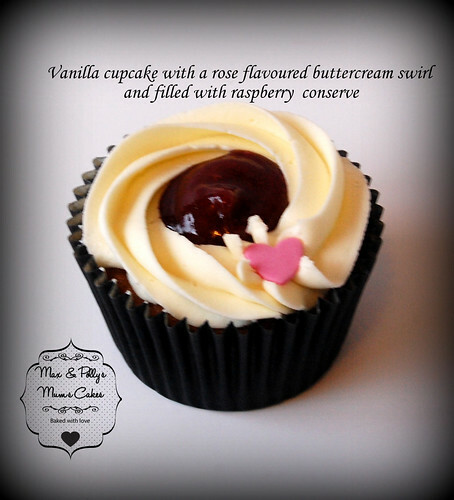 Here's another cupcake from Max and Polly's Mum, a Vanilla Raspberry Cupcake.